Global investors representing more than USD $6.5 trillion are calling on six of the largest companies in the USD $570 billion global fast-food sector to act urgently on the climate and water risks in their supply chains. The letters, facilitated by the sustainability organisation Ceres and the FAIRR Initiative, ask companies to explain by March 2019 how they plan to enact meaningful policies and targets to de-risk their meat and dairy supply chains. The companies in the spotlight manage over 120,000 restaurants worldwide. “Fast-food giants deliver speedy meals, but they have been super slow in responding to their out-sized environmental footprints. Investors are eager to see more leadership from these companies to reduce the mounting climate and water risks linked to their meat and dairy suppliers. Commit to publicly disclose progress on the targets annually. A new investor briefing from FAIRR, also released on the same day, highlights the environmental impact of the meat and dairy producers that supply the fast food sector. Agricultural emissions, including those from meat and dairy, are on track to contribute around 70 percent of total allowable GHG emissions by 2050. This will create an 11-gigaton GHG mitigation gap between projected emissions and the target level required to keep global warming under a 2°C threshold. 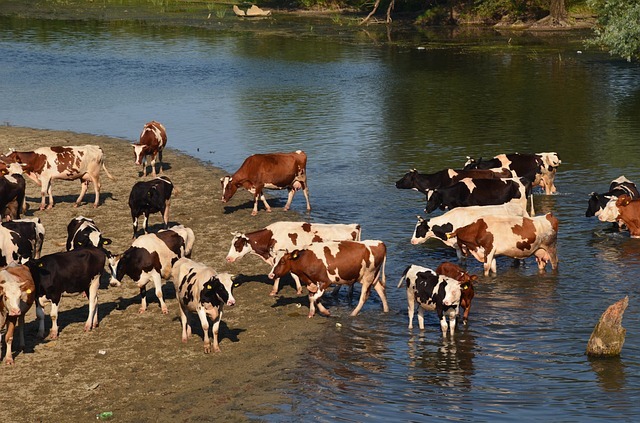 The livestock sector is also estimated to use approximately 10% of annual global water flows. The investor letters highlight that the meat and dairy industry currently has limited water and climate policies and goals in place. Analysis by the Coller FAIRR Index found that more than 70 percent of meat and livestock index companies do not have targets for reducing GHG emissions. The meat sector was also shown to be the lowest performing industry in Feeding Ourselves Thirsty, a 2017 analysis of water management practices released by Ceres, and is a major source of nitrogen and phosphorus pollution globally. Global fast good brands need to take concrete action to manage supply-chain emissions and water impacts. The takeaway from investors is that those firms that fail to meet this challenge face regulatory and reputational risks that put their long-term financial sustainability under threat. In terms of evaluating market risk, rising global temperatures and intensifying competition for water access are increasingly material factors for investors. This is especially the case in the meat and dairy sector. Investors expect the fast food sector to deliver sustainable supply chains. Investors with combined assets of over $6.5 trillion are backing the Ceres/FAIRR climate and water engagement. The FAIRR initiative as a whole has more than 180 investors with over $11 trillion of assets under management participating in its activities. The Ceres Investor Network on Climate Risk and Sustainability comprises 163 institutional investors, collectively managing more than $25 trillion in assets.